ada yg error g y?? 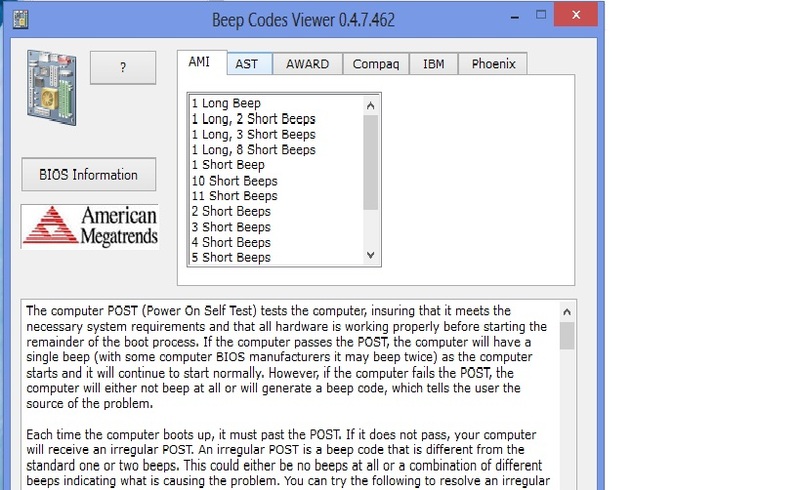 ini Beep Codes sopwer yg digunakan utk mengetahui kerusakan hardware lewat suara buzzer di Mobo.. This entry was posted on 20.59 and is filed under . You can follow any responses to this entry through the RSS 2.0 feed. You can leave a response, or trackback from your own site.